Burning Man is host to 40 square miles of art, and much of it is sculptural. Many of the pieces are truly massive, and are also interactive. You can climb on the sculptures, watch them burn every night, add poetry, and make them do things. 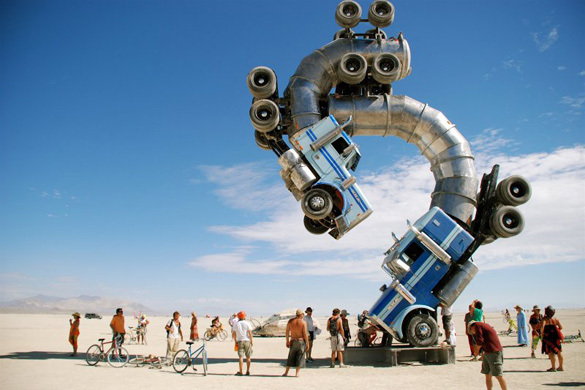 As one art curator put it, Burning Man is the largest art gallery on earth. And the art is big.